Look around you, every supermarket, shopping mall or office tower is fitted with an HVAC system – and so too are many residential homes. Competenz trains the people who control the temperature and air quality of New Zealand’s buildings. 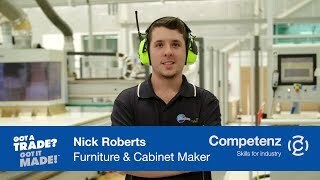 Competenz works with industry experts to develop nationally recognised qualifications, mapping the skills needed and registering them with the New Zealand Qualifications Authority (NZQA). Our team develop training plans to make it easy for you to grow your employee’s skills and productivity. We partner with industry associations and members of your industry to help recruit and build talented employees. This includes promoting careers, identifying potential learners and encouraging work placements. We also support industry events like conferences, competitions and graduations, and regularly celebrate your learners’ success. Medical and laboratory gas systems. 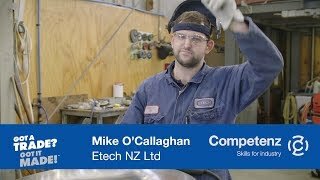 This qualification has been developed by leading New Zealand mechanical building service specialists to equip staff with the skills and knowledge to work productively and safely. With technology and automation rapidly driving change in the mechanical building services sector, this qualification is designed with the future in mind so your people can respond and adapt to change. Most of the learning is practical work completed on-the-job. Apprentices are also required to complete eLearning via our online learning platform Canvas, and attend block courses for two to three weeks each year. Speak to your training advisor or account manager for details on programme and resource pricing. Recognise the limits of their own ability and the importance of working with integrity and maintaining currency in the mechanical building services field.